How much is Danny Trejo Worth? 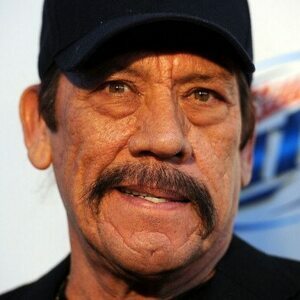 Danny Trejo net worth and salary: Danny Trejo is a well-know film and television actor who has a net worth of $16 million. Danny Trejo has earned his net worth through appearing in numerous roles that are often hyper-masculine, villainous, and anti-heroes. Some of the roles he is best known for include Heat, Con Air, Machete, Desperado and Anchorman: The Legend of Ron Burgundy. 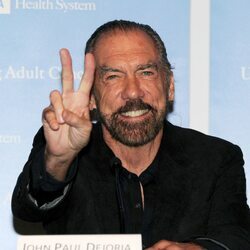 He was born on May 16, 1944 in Echo Park, a neighborhood of Los Angeles. Throughout the 1960's Trejo was in and out of prison. While serving time in San Quentin, he became a champion boxer in lightweight and welterweight divisions within the prison. He also joined a twelve-step program that he credits for helping him to overcome his drug addiction; as of 2011, he was 42 years sober. While attending a recovery meeting, he met a man who used to work in the movie business and was invited to the set of Runaway Train. While on the set, he was offered a job as an extra in the film's prison scenes. His career catapulted from there, and he became well known for his distinctive appearance, which often typecast as a rugged, thuggish character, although recently he has also appeared in more sympathetic roles like in Season 2 of Desperate Housewives when Carlos sent his character to help Gabrielle deal with the grief of losing her unborn baby. In 2005, an award-winning independent film called Champion was made to document Trejo's life. The film featured Dennis Hopper, Val Kilmer, Steve Buscemi, and Robert Rodriguez. In 1997, he married Debbie Trejo, who is also an actress, and the couple have two children.